Caracas, July 19 (IANS) The Venezuelan government has rejected US pressure to cancel a Constitutional initiative or face additional “economic sanctions”. “Obviously the US government is used to humiliating other nations through its international relations and thinks it is going to get the subordination it is accustomed to,” Xinhua news agency quoted the Venezuelan Foreign Ministry as saying. 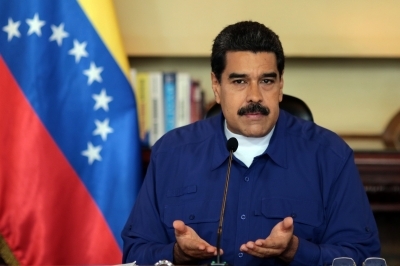 In a bid to overcome the political crisis that has paralyzed Venezuela, President Nicolas Maduro has called for a National Constituent Assembly (ACN) to review and possibly rewrite the Constitution. Venezuelans are expected to elect the members of ACN on July 30, the report said. The conservative opposition, which has the backing of the US, has opposed the initiative and even organised an informal poll on Sunday to gauge support. The US will take strong and swift economic actions if the government “imposes its Constituent Assembly on July 30”, a White House statement warned.